How, why, and where to apply structural reinforcement for a tiny house on wheels. How to build a safe tiny house while using the Department of Transportation (DOT) and International Building Code (IBC) as guides. How to adapt a utility trailer for tiny house construction. How to connect a tiny house to a trailer. How to frame the floor, walls, roof, and porch. How to close-in the house and make it weather tight, dry, and vented. 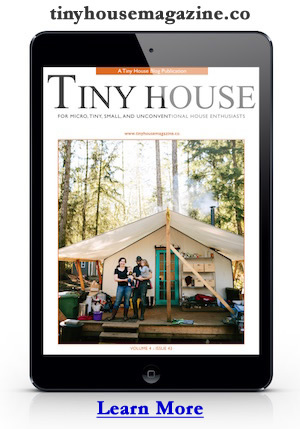 Contained in this ebook is the missing link many tiny house owner-builders are looking for in an easy to follow distillation of the stuff you won’t find in tiny house plans. I highly recommend Go House Go – How to Build a Tiny House on Wheels to anyone who is seriously considering building a tiny house on wheels. This entry was posted in Books and tagged dee williams, ebook, Plans, Portland Alternative Dwellings. Yay Dee!!! I’ve been waiting for something just like this, and am so glad you’re the one who’s written it! And greetings from Seattle, hope to get to Oly soon….